Short and sweet. 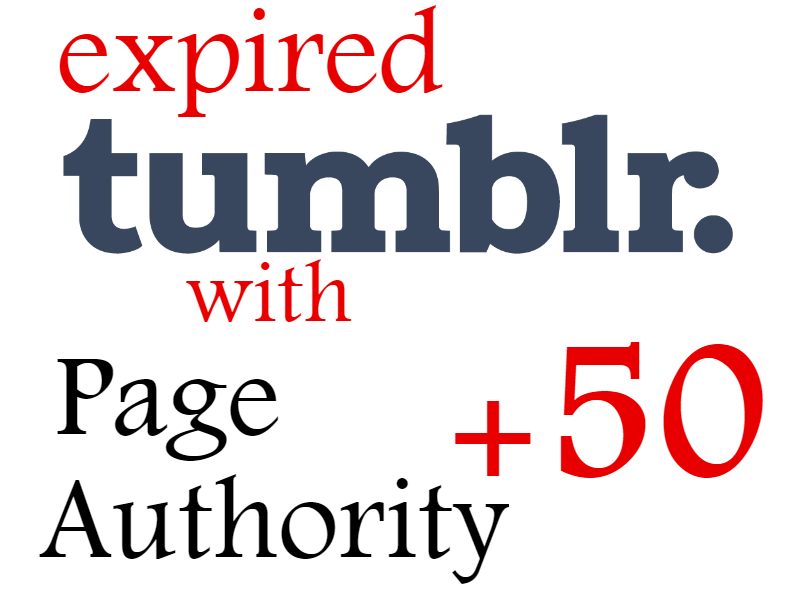 I assume that if you are here, you already know what expired tumblr blogs are and what to use them for. SO! Each blog is on a separate account. These expired tumblr blogs, are already powered by backlinks, since the previous owners were real bloggers interacting on network and linking to their site naturally. They are ideal to rank easy keywords or as a starting foundation before you start using PBNs for the final push. You will also get a short but comprehensive guide on how to use these tumblr for seo. 10 Tumblr Blogs with Page Authority +50 is ranked 5 out of 5. Based on 9 user reviews.